We develop emotionally intelligent and agile leaders using evidence-based, coaching psychology methodology. Stemming from years of research and practice around the world we ensure our clients are always achieving positive results. We seek to help our clients achieve positive outcomes and their individual and organisational goals by becoming their dedicated coaching allies in learning, development and growth. We provide tailored and cutting-edge coaching programs and HR solutions by partnering with business associates and suppliers who are committed to evidence-based coaching practice and have leadership experience in the corporate world. Our business name, ProVeritas, reflects the importance of our values. The prefix “pro” means to be in favour of, or to advance forward whereas the Latin word “Veritas” stands for integrity, honesty and trust. As committed allies in our clients’ learning, development and growth, we ensure that our clients are always advancing forward in achieving positive results. 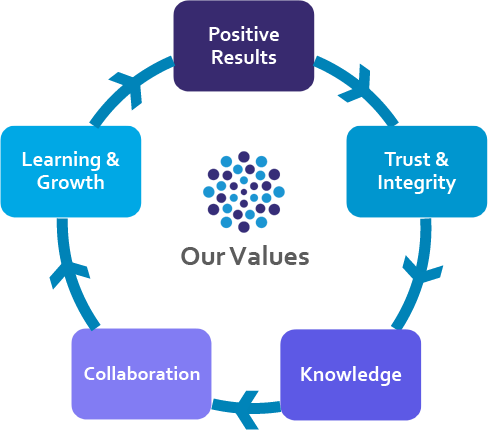 Our values guide our behaviours at every step of the engagement - from contracting, program design, delivery, through to embracing and implementing our clients’ feedback for mutual continuous improvement. After a successful 27-year career as a senior executive in the pharmaceutical industry leading large scale transformational projects, she turned her focus to helping organisations find solutions to highly complex challenges. In 2009, Ruby founded ProVeritas Group, initially as a management consulting firm. By 2011, her deep leadership knowledge and corporate experience led her to the understanding that the most effective way of helping organisations was by transforming mindsets. Motivated to assist clients make sense of the volatile, uncertain, complex and ambiguous (VUCA) corporate landscape of the 21st Century, and find constructive solutions to achieve their individual and organisational goals, Ruby re-positioned and expanded ProVeritas Group as a premier executive coaching and HR consulting firm dedicated to helping clients learn, grow and lead wherever they may be. Since then, she has established a successful track record of highly sophisticated coaching programs derived from world-class methodologies in Coaching Psychology, Change Management, Organisational Behaviour, and Leadership Theory & Practice. From 2010 until 2016, Ruby furthered her experience in adult development and learning by being part of the teaching Adjunct Faculty at the University of New South Wales/Australian School of Business in the AGSM Executive MBA and Education programs, in Change Management and Business Excellence. She has presented at various UNSW Leadership Programs and business events and continues to provide active support to post-graduate students as an international host and mentor. Ruby is very passionate about diversity, inclusiveness and equality and is an active member and advocate of the United Nations’ Global Sustainable Goals. She was the Chairman of the North Ryde Community & Information Centre in 2009 and has served on several Government and University Boards and Committees for many years. 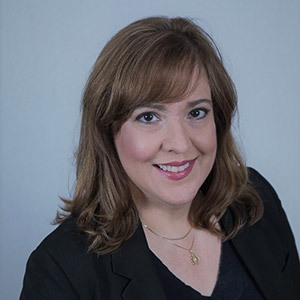 She is a member of the Worldwide Association of Business Coaches (WABC), the Harvard/McLean Institute of Coaching (IOC), the Australian Psychological Society (APS) Interest Groups in Coaching Psychology, and the International Leadership Association (ILA). Ruby has a Bachelor of Applied Science with First Class Honours and a PhD in Science from the University of Technology Sydney. She completed a Master in Business Administration (Executive) from the University of New South Wales and a Master of Science in Coaching Psychology from the University of Sydney. She is a certified Hogan Assessments practitioner, a certified MTQ48 Mental Toughness practitioner, an Acceptance & Commitment Therapy practitioner and a certified Mental Health First Aider. ProVeritas Group is a rapidly expanding firm due to the increasing demand for executive and organisational coaching in Australia and worldwide as a preferred approach to high-impact learning and development initiatives. Depending on the scope of the engagement, ProVeritas Group will partner with other firms or contract individual practitioners who are aligned with our Mission and Values and meet our strict selection criteria. Part of the selection criteria include being experienced executive coaches, and having tertiary qualifications and training in one or more disciplines (e.g., Psychology, Coaching, Business and Science). If you believe you meet the above preliminary criteria and you wish to be part of highly professional and dedicated team of coaches with a view to expanding throughout Australia, Asia Pacific and beyond, we would like to hear from you. Simply go to the Contact Us page, write in the comments section “Joining ProVeritas Group” and please make sure to include your contact details. We will reply as soon as we can. If you are a recent graduate in any of the fields in Psychology, an Australian resident or citizen, and would like to do an Internship with us, please go to the Contact Us page, write in the comments section “Internship” and please make sure to include your contact details. We will reply as soon as we can.